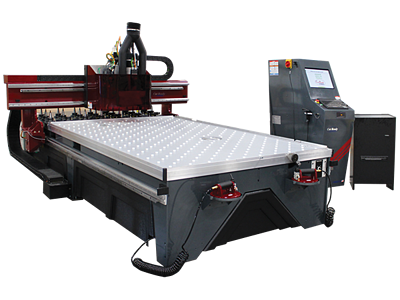 The Cut Ready 43 shown below is equipped with a 5 by 8 table, a 21-position tool changer and a high flow vacuum hold-down system (additional table sizes and options are available). It has many of the features of the Cut Center, but at a lower price. 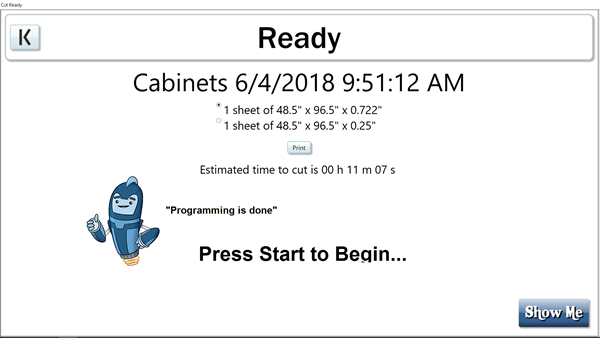 Just like a Cut Center, it can help you quickly and easily create most products a cabinet shop would want to make without a CNC programmer (only operation training is required). © 2015 Thermwood Corporation. All rights reserved.